Castore was set up by brothers Phil and Tom Beahon in 2015 and Murray first wore the clothes on a match court in his dramatic five-set loss to Roberto Bautista Agut in the first round in Australia. While a long-term partnership would indicate Murray is hoping to play for several more years, the Scot is also thinking ahead. He will become a shareholder in the company and help with product development as Castore looks to establish itself in the tennis market. 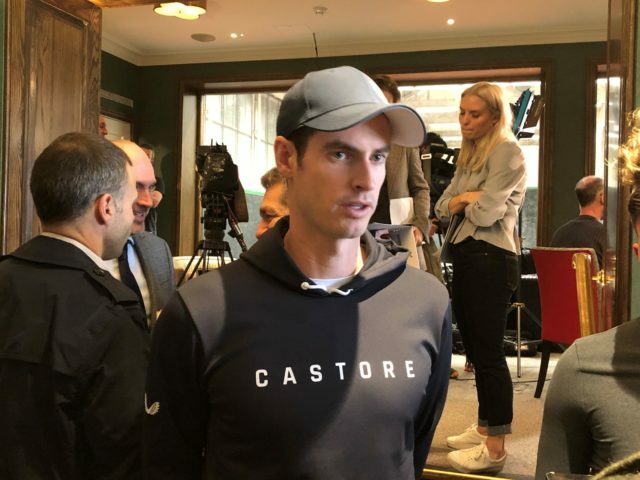 Murray, who has invested in a number of British start-ups, said: “It’s high-quality clothes and the fact it’s a young British company, it’s two brothers who have played sport, there’s synergy there obviously with my story. “Normally the brand-athlete partnerships are you get paid to wear the clothes on court and take some photos, then at the end of that contract there’s a negotiation. Whereas with this it was quite different. Obviously I’ll have some equity in the business.